Walnut Ridge is a city in Lawrence County, Arkansas, United States. The population was 4,925 at the 2000 census. The city is the county seat of Lawrence County. 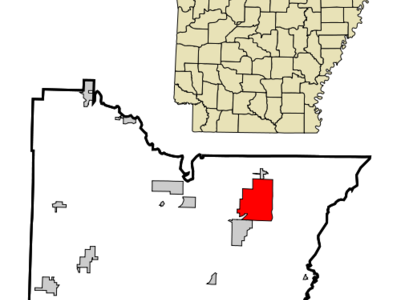 Walnut Ridge lies immediately north of Hoxie, Arkansas. The two towns form a contiguous urban area with approximately 8,000 residents. Williams Baptist College is in nearby College City. As of the census of 2000, there were 4,925 people, 2,065 households, and 1,305 families residing in the city. The population density was 425.5 people per square mile (164.4/km²). There were 2,283 housing units at an average density of 197.3 per square mile (76.2/km²). The racial makeup of the city was 97.04% White, 0.59% Black or African American, 0.51% Native American, 0.12% Asian, and 1.75% from two or more races. 0.43% of the population were Hispanic or Latino of any race. Here's the our members favorite photos of "Cities in Arkansas". 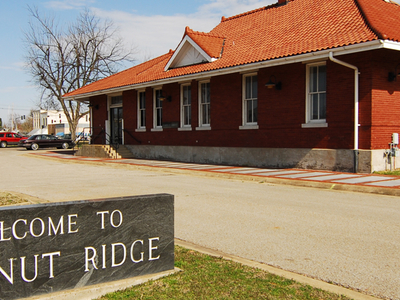 Upload your photo of Walnut Ridge!